Decal American Infidel Show your American Pride and Spartan Spirit! 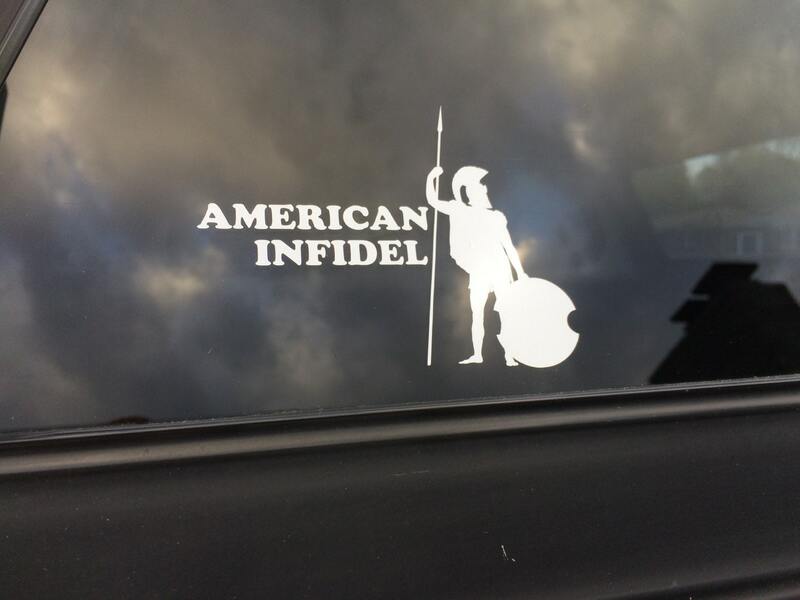 Decal "American Infidel" Show your American Pride and Spartan Spirit! Long-lasting outdoor, premium vinyl decal. Easy to apply and water/weather resistant. Proudly show your fearless American spirit.